Flea-borne (murine) typhus has been a hot topic in the recent news, but it is not a disease that a lot of people frequently encounter. You may be wondering if you and your pets may be at risk for this disease. 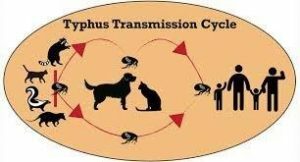 Here are some facts about typhus and how to protect yourself and your pets. Typhus is actually quite rare and most people in Los Angeles County will not become infected. There are about ten million people in Los Angeles County, so your odds of encountering this illness is thankfully very low. From 2013-2017, the average number of reported cases of typhus averaged about 60 a year. 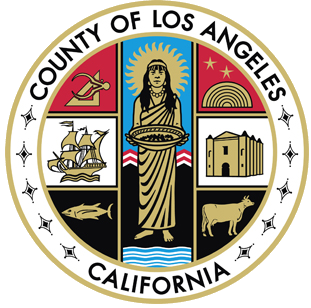 From 2018 to date, there have been a total of 107 cases of flea-borne typhus documented by the Los Angeles County Department of Public Health. About half of the cases in downtown L.A. involve people who are experiencing homelessness. The Department of Public Health is taking this situation very seriously and assertively addressing the problem. You will most likely not encounter typhus if you and your pets are in a clean environment free of rodents. Transmission occurs when bacterially infected flea feces come into contact with the eyes or cuts and scrapes on the skin. Infected fleas are harbored mainly by rats, but opossums and other animals can also be vectors for fleas. Outdoor cats (and dogs) can come into contact with fleas that carry typhus and thus transmit the fleas to people and other animals. Infected cats and dogs usually do not get sick so there is often no obvious sign of infection. Controlling typhus comes down to rodent and flea control. Keeping your pets inside, especially your cats, will help protect them from fleas. Using an effective flea control solution is also a good idea, since even indoor animals can be affected by fleas hitchhiking on people. You can also use EPA-approved insect repellant labeled for use against fleas. Do not leave pet food outdoors for your animals because it can attract wild animals and rodents. Other ways to control rodents include trimming bushes and overgrown plants, keeping your property free of debris, and keeping garbage containers tightly closed. Unowned or free-roaming cats who are not protected by flea repellant can also be a source for fleas. You absolutely should be using flea prevention for your animals if there are free-roaming cats in your neighborhood that may pass through your yard or come into contact with your pets. Even if these fleas do not harbor typhus they can harbor other pathogens such as tapeworms. Discuss the best preventative with your veterinarian, who can recommend products based on your living situation. Should we be aware that typhus is a problem – yes, but using the tips in this article should help you avoid it. Use good judgment, effective rodent control, regular flea protection for your pets, keep your dogs and cats primarily indoors, and you and your pets will likely remain safe from this disease. Need A Workout Buddy? Adopt a Dog!